Each time we encounter a suffering person, we encounter Jesus in disguise. 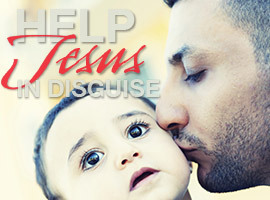 The Catholic Relief Services Collection (CRSC) funds six Catholic agencies that serve the disguised Jesus in our suffering brothers and sisters around the world. His disguise might be that of those suffering from natural disaster, those displaced by violence or war, or those migrants searching for a better life. In the developing world, it is often hard for families to support themselves and their children. Sophie, a widow working in a village in Burkina Faso, was struggling to feed her family and pay for schooling for her children. Thanks to the help of Catholic Relief Services, one of the CRSC supported organizations, her village was able to set up a Savings and Internal Lending Community (SILC). Through the SILC, members contribute what they can afford, allowing them to pool their resources and save collectively. Members can then borrow money to meet pressing needs or develop business opportunities. Through the SILC, Sophie was able to take out a $200 loan to cover startup costs for her own canteen, a sum that would be nearly impossible for her to save. Her canteen has been very successful and began to pay off in only six months. Her community has benefited too, as she has been able to hire three assistants to work with her. Without the SILC and the work of CRS, it would have been nearly impossible for her, and others like her, to create a sustainable life for her and her family. Even in the developed world, it is difficult for immigrants to navigate the American justice system and to know their rights. Another organization that receives funds from the Catholic Relief Services Collection is CLINIC, the Catholic Legal Immigration Network, Inc. The BIA Pro Bono Project that CLINIC manages uses funds from the CRSC to provide support and legal representation to immigrants facing the Board of Immigration Appeals (BIA). Pedro entered the United States to provide a better life for his family and to flee violence and persecution. He entered the United States without inspection, but nearly 20 years later, Pedro was taken to an immigration detention facility away from his wife and three children while the BIA decided whether he could stay in the country. Thanks to the BIA Pro Bono Project, law students discovered that he had never been considered for Temporary Protected Status, and local legal counsel represented him. This counsel helped determine that he was in fact eligible for this legal status. After a year in a detention facility, separated from his family, Pedro was able to return home. This Lent, remember our suffering brothers and sisters and Jesus in Disguise. 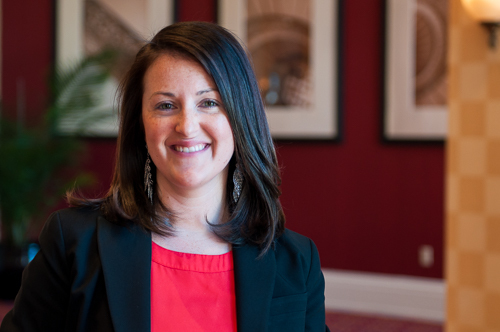 Bevin Kennedy is the Assistant Director for Promotions in the Office of National Collections at the USCCB.